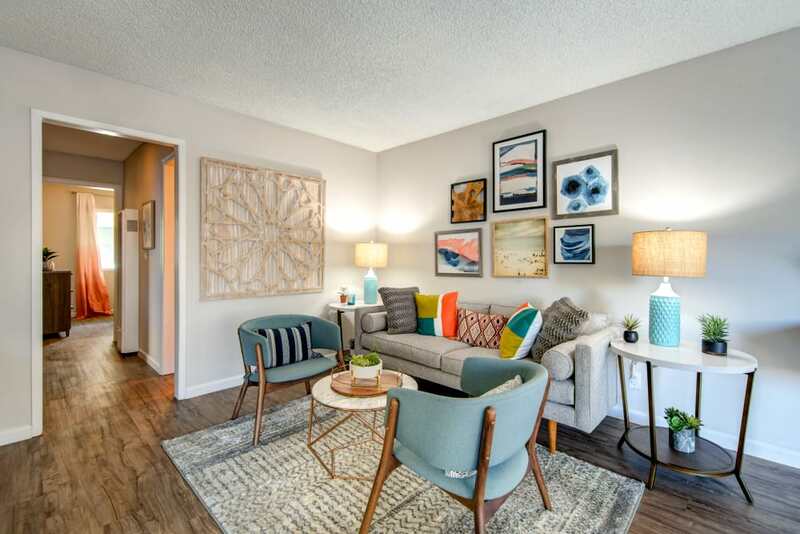 Take in the sunshine and breathe in the ocean air right from your modern studio, one, two, or three bedroom apartment at Villas at Carlsbad. 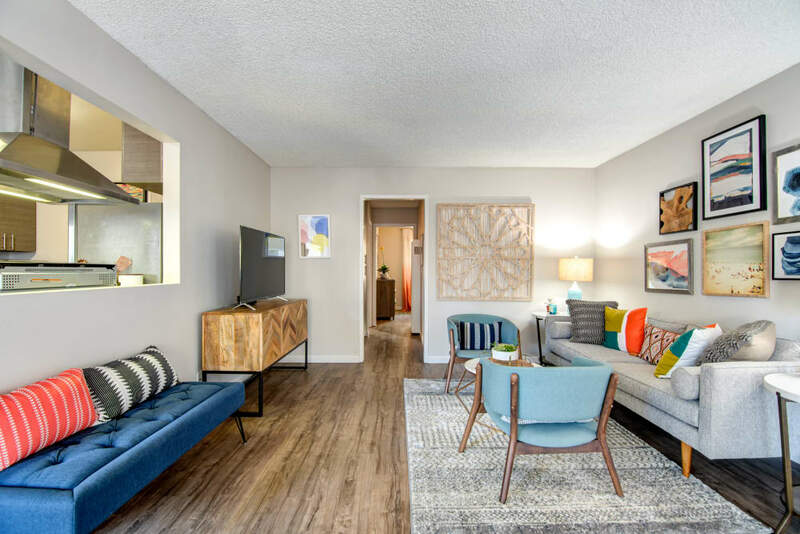 Your newly remodeled apartment home is thoughtfully finished and fully equipped with modern features that will make you feel like each day is the start of a vacation. 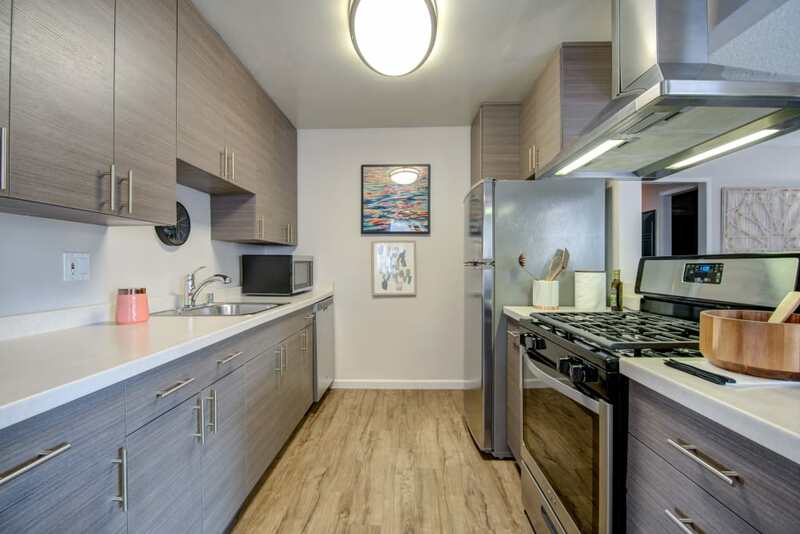 The apartment homes include energy efficient stainless-steel appliances, wood-style flooring*, custom cabinetry*, and a private patio*. 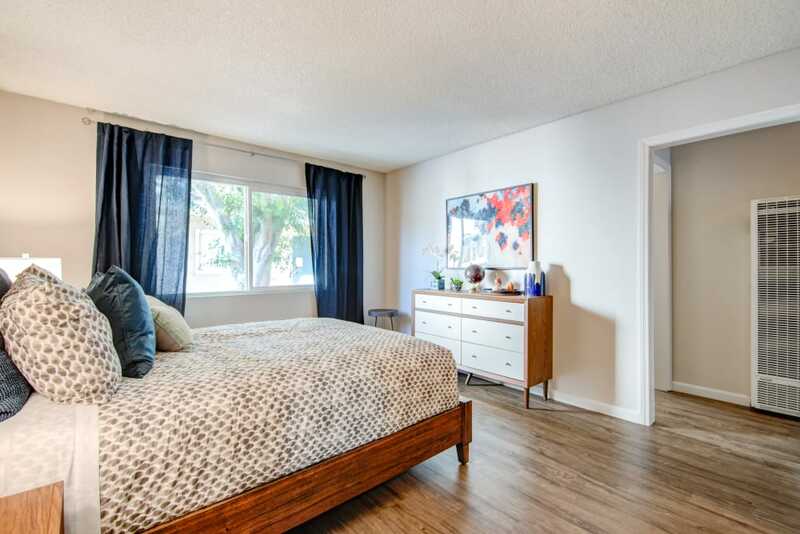 Our location right in the heart of Carlsbad, near Oceanside, means that you are living the ideal beachside life only a mile away from Carlsbad State Beach and even closer to great local restaurants like Campfire, Blue ocean, and Cicciati's, plus the great nearby shopping at The Shoppes at Carlsbad and Carlsbad Premium Outlets. 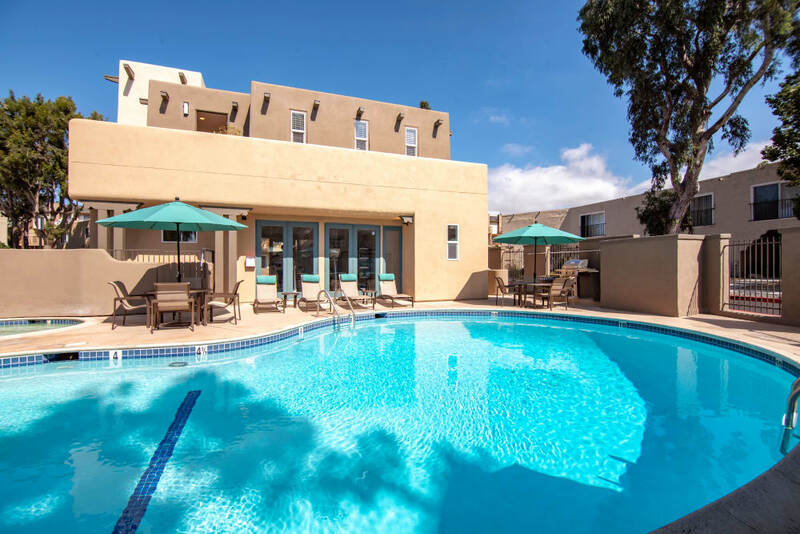 Our community at Villas at Carlsbad will charm you from the first glance, with its adobe-style exterior that leads to modern apartments. 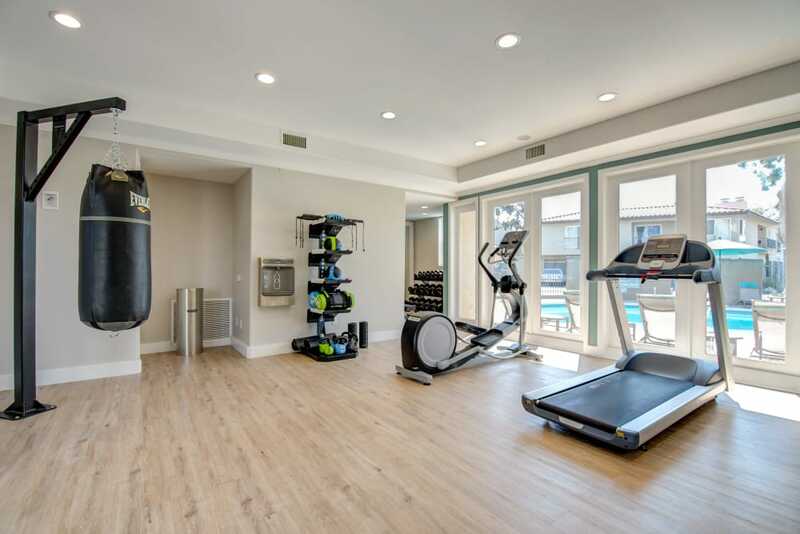 Living at Villas at Carlsbad gives you access to a 24-hour fitness center including cardio and free weights, a spa and a swimming pool, meaning there’s no shortage of activities to enjoy from the comfort of our grounds. 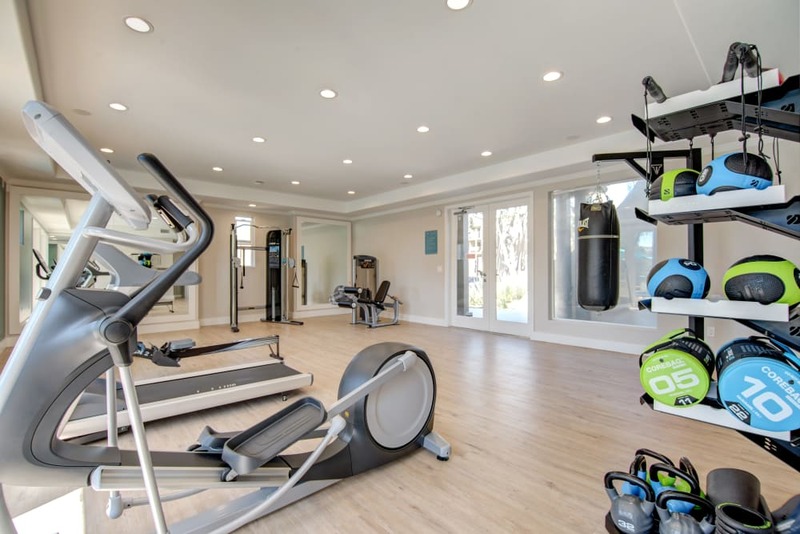 With a Walk Score of 71 we offer a bike room to store your bike for that quick ride to the beach. 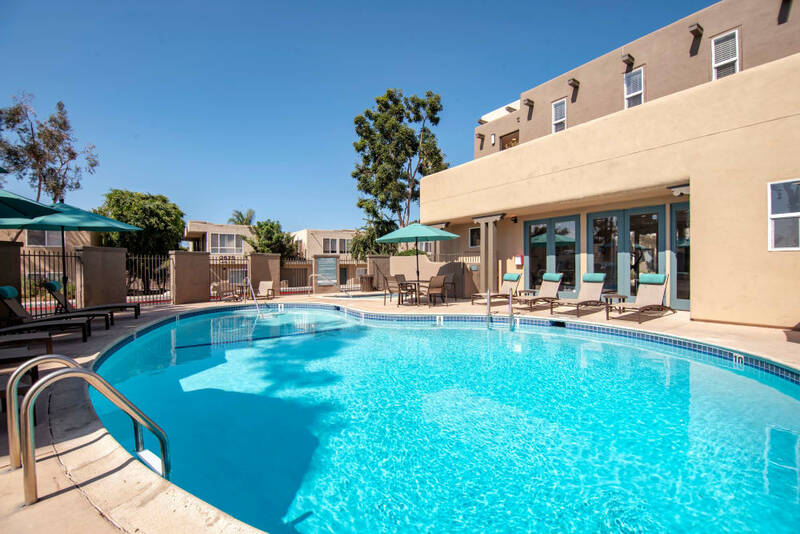 And, we love your pets as much as you do, so pamper them at the Villas at Carlsbad dog wash station. 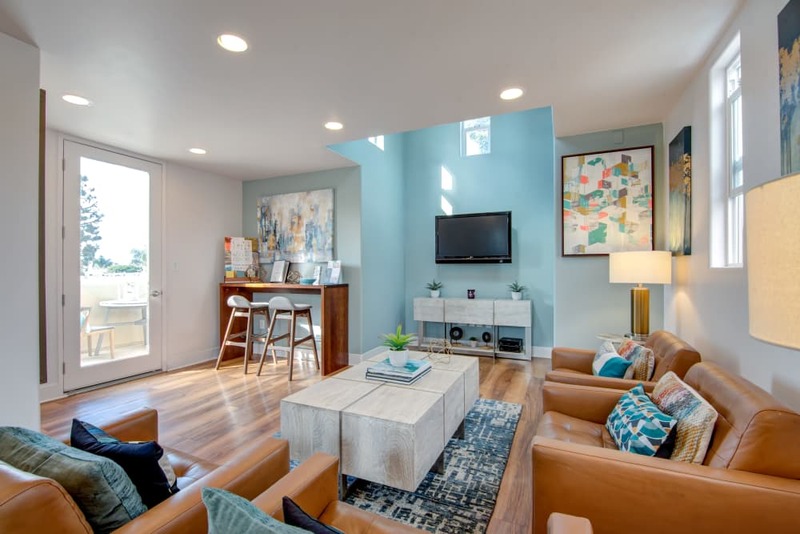 Call us today to schedule a personal tour of your new apartment home at Villas at Carlsbad. We looking forward to hearing from you, welcome home! 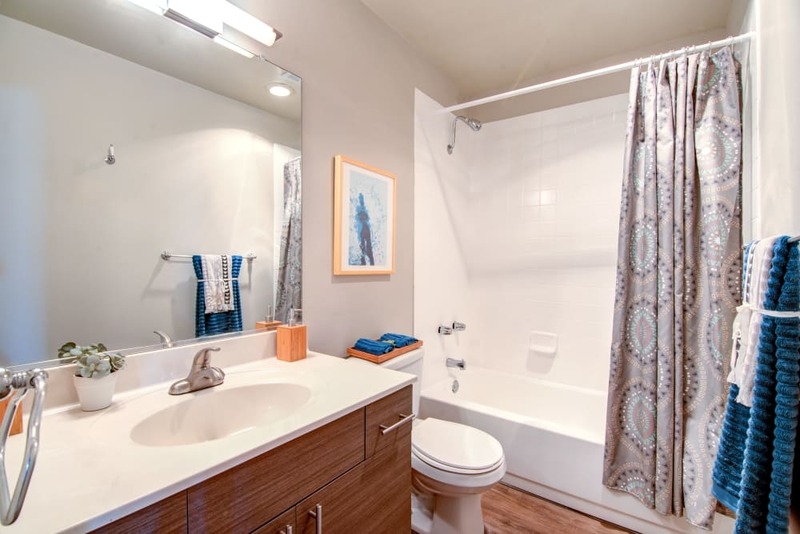 Choose from our studio, one, two, and three bedroom floor plans. 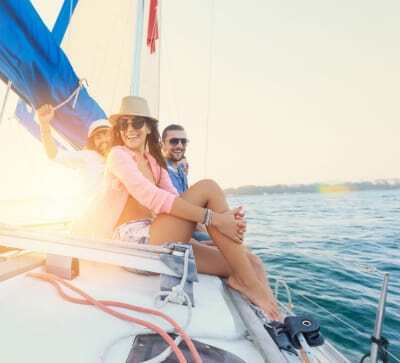 You’ll love the amenities available to you. 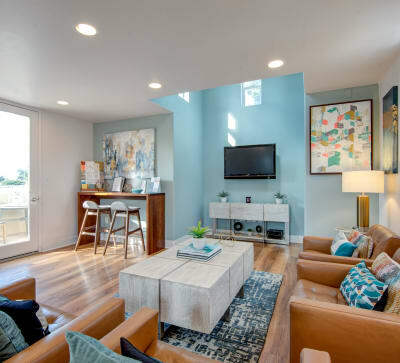 Who wouldn’t love a beachside life? 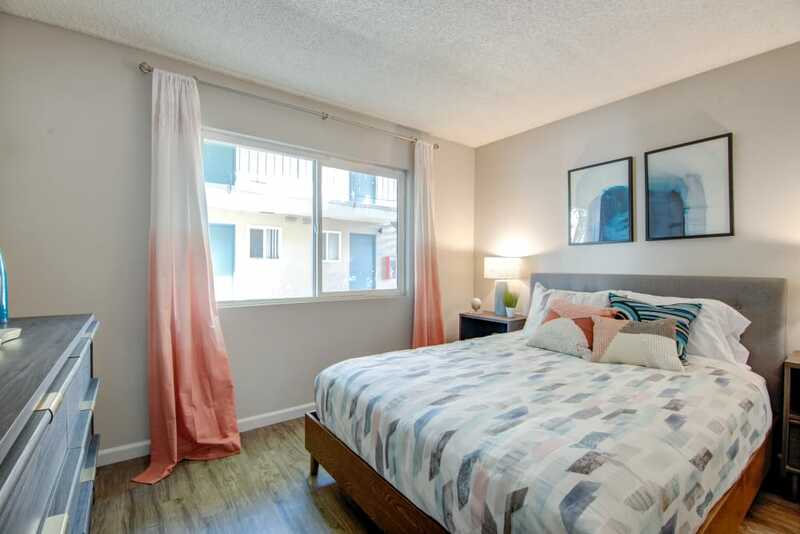 Living at Villas at Carlsbad brings together a unique combination of modern studio, one, two, and three bedroom apartments in an enviable location that’s walking distance to the beach. 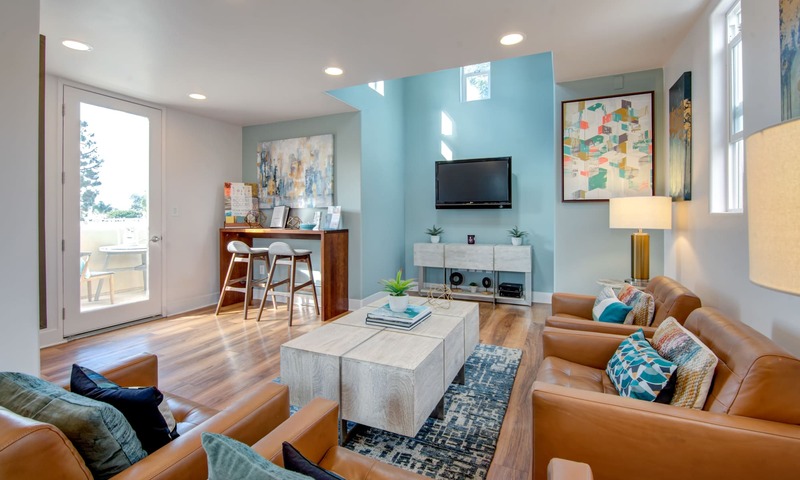 Our apartments feature polished interiors with thoughtful finishes that our residents love. 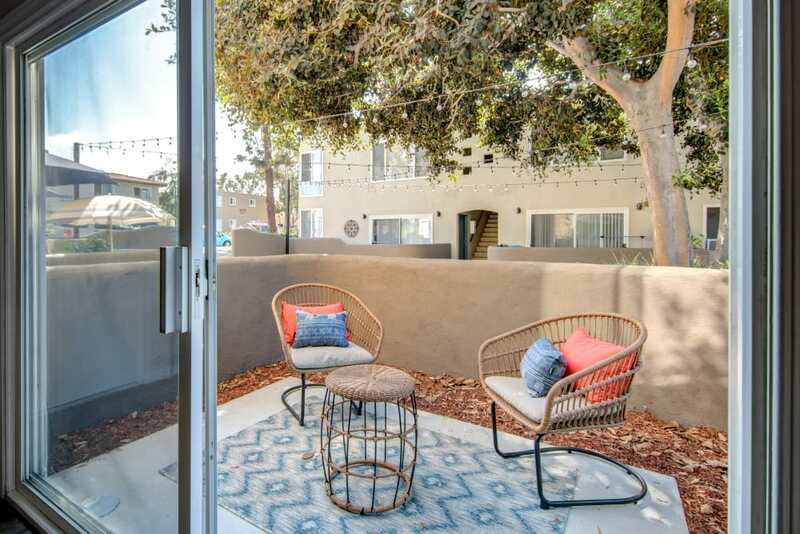 In the heart of Carlsbad, CA, Villas at Carlsbad puts you in the center of all that this charming ocean town has to offer. 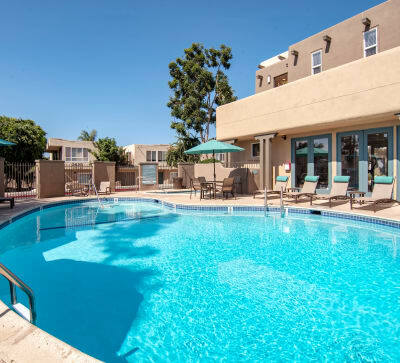 Whether you’d like to take a dip in the pool, relax in the onsite hot tub, or walk into town for dinner and drinks, your community and location keeps your options wide open. 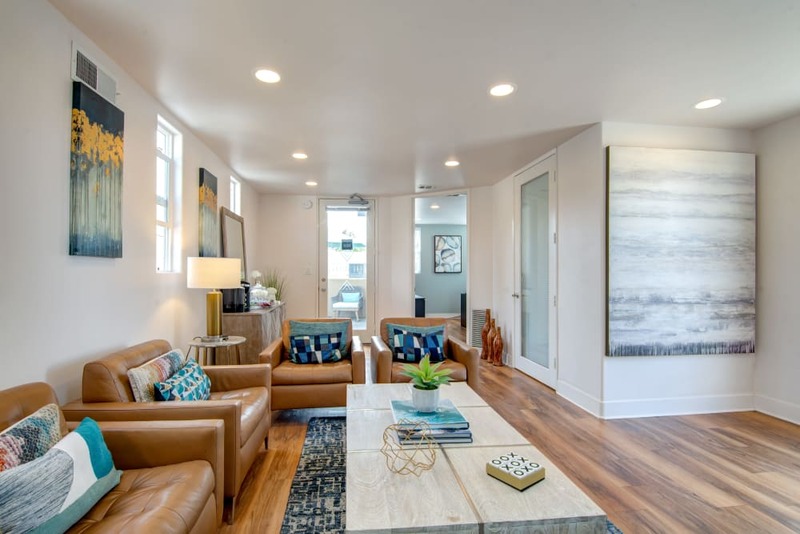 Choose to live well and surrounded by luxury at an affordable price when you choose Villas at Carlsbad.